Blog > News > Your ticket offer for The Knitting and Stitching Show 2017! Your ticket offer for The Knitting and Stitching Show 2017! Wander through a crafty wonderland at The Spring Knitting & Stitching Show 2017! In a week’s time, the gloriously craft-filled Spring Knitting & Stitching Show opens in London’s Olympia, full to the brim with knitting inspiration and bursting at the seams with sewing and quilting! This year, you’ll have a fantastic chance to learn some exciting skills with everything from Shibori dyeing, needle felting, hand embroidery to knitting in wire on offer. Workshops range from making a Broomstick Lace Crochet Scarf, Knitting with Colour and Texture, to making a Sparkling Spring Bracelet. With over 170 workshops to choose from over four days there’s endless chances to learn something new! 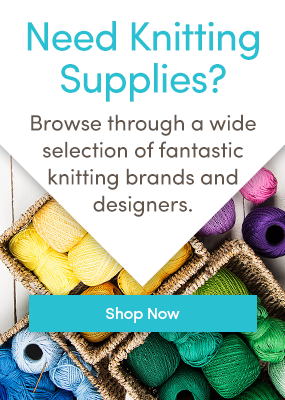 Every year, the show is packed with shopping opportunities – yarn, fabric, sewing machines, craft tools, patterns, beads, buttons and accessories – craft supplies that will enchant and delight you! The full exhibitor list is here, but the show is a great opportunity to buy original and unusual notions and accessories, and one-of-a-kind yarns from specialist retailers. As always, The Knitting & Stitching Show will be showcasing fabulous talents – this year, there will be drop-in sessions with the UK Hand Knitting team who are ready to help you with all your knit and crochet grumbles – and they’ll teach beginners too, for free! The Creative Living Theatre will be hosting demonstrations for fantastic projects from how to sew kids PJs, to making roses from wired ribbon – the full list of exciting demos can be downloaded here. Oooh, and don’t miss the screenings of the hilariously brilliant knitted film from Nudinits, Tickled Pink! Six professionally curated textile galleries will be on display from artists such as Harriet Riddell, Contemporary Quilt, The 62 Group and Helen McAllister – a riot for the senses! You’ve only got one week to wait before the show opens at Olympia in London – the show opens its doors from 2-5 March! You can buy tickets here or call 0844 581 1319. * Save £2 on standard adult ticket price, or £1 for concessions. £1.50 fulfilment fee applies per transaction. Discount valid until midnight Wednesday 1st March. Advance booking for workshops cease at midday on Wednesday 1st March. Last updated: February 22nd, 2017. 4 Responses to Your ticket offer for The Knitting and Stitching Show 2017! I love your blog, cannot attend the show as I am on a very pleasurable visit to Okotoks, Alberta fulfilling a very important “Grandma Duties” to help with my tenth grandchild (but only my second granddaughter) Charlotte. Busy knitting very small baby jackets as she was five weeks premature. My daughter is thrilled to read the magazines I brought over from the UK and we are choosing which baby garments to make first, altering the patterns to fit five week prem baby, Charlotte Destiny Ann. Only sorry we are so far away from the show at Olympia! Any plans to treat Alberta to such delights? Mary, beautiful, motnrwauehitg and unique. I've only had the Italian version, but this French gnocchi sounds and looks divine. I could eat them, just like this with a nice salad on the side and would be a very happy camper :o) Hope your Wednesday is shaping up beautifully! Postal options at the advance ticket price for adults, concessions, Thursday Late and child are available until midday on Friday h February, after which e-tickets are available until midnight on Wednesday t March.